Ohaus Defender 3000 Wheeled Bench Scales are ideal for general industrial use in dry applications and feature a stainless steel pan, painted steel construction with a high-impact ABS indicator. For mobility, the scale base is mounted on four polyurethane wheels, and weighs in lb, oz, lb:oz, g or kg units. 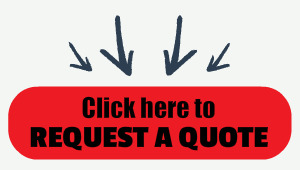 There are many different locations and businesses that could benefit from having a portable scale on wheels. 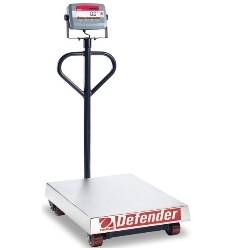 From weighing airport luggage to parcel boxes this battery powered Ohaus Defender 3000 portable scale with wheels is sure to be a popular item everyday. Ohaus Defender 3000 Wheeled Bench Scales, available from Central Carolina Scale are ideal for general industrial use in dry applications and feature a stainless steel pan, painted steel construction with a high-impact ABS indicator. For mobility, the scale base is mounted on four polyurethane wheels, and weighs in lb, oz, lb:oz, g or kg units.